Do Chicks really dig the Baird? Yep! A recent poll conducted by Epic Games revealed that Damon Baird is the most popular male character in the Gears of War franchise. Nice guys really do finish last! After selling over 13 million units world wide, you didn’t really think the Gears of War franchise was over right? While the fine folks at EPIC Games are have shifted focus to other endeavors (see Fort Night), they’ve handed over their precious (and lucrative) franchise to their friends at People Can Fly, the sadists behind last year’s Bulletstorm. 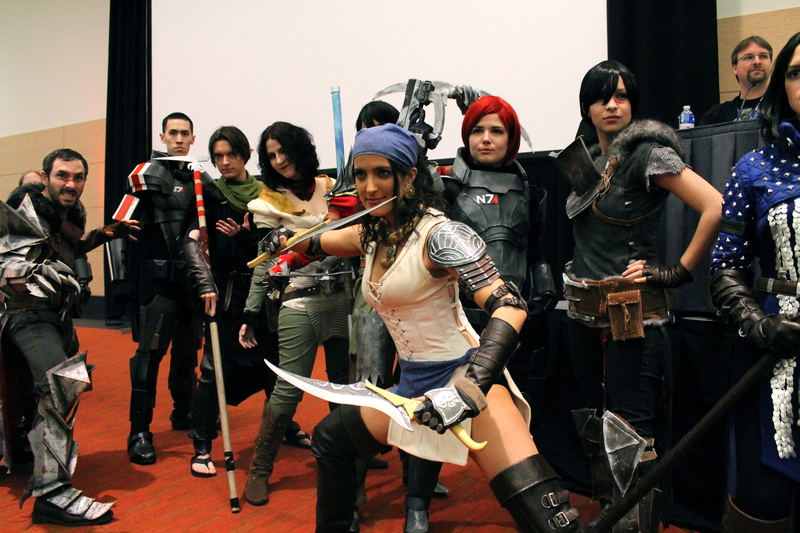 With the world of Sera saved and all that, where does the Gears franchise head next? Simple, THE PAST! Known Plot: Gears of War: Judgment will take place about 15 years before the events of the first game, and depending on sales, will probably be the first part of a whole new trilogy starring Baird, Cole, and the members of Kilo squad. Now Baird and Cole have been friends since the days of basic training (where Cole saved Baird from a deadly swirly… true story), but don’t expect to see the likes of Marcus and Dom anywhere within this title. According to recent interviews with design director Cliffy B, the stories of Marcus and Dom are done. And let’s face it, the war was massive with soldiers stationed all around the planet, there are plenty of stories to tell. On another note, those of us that loved the Gears novels by British author Karen Traviss will be saddened to hear that she is not in any way involved with Gears of War: Judgment. We are hearing that her rich canon will be respected. Class Based Multiplayer? 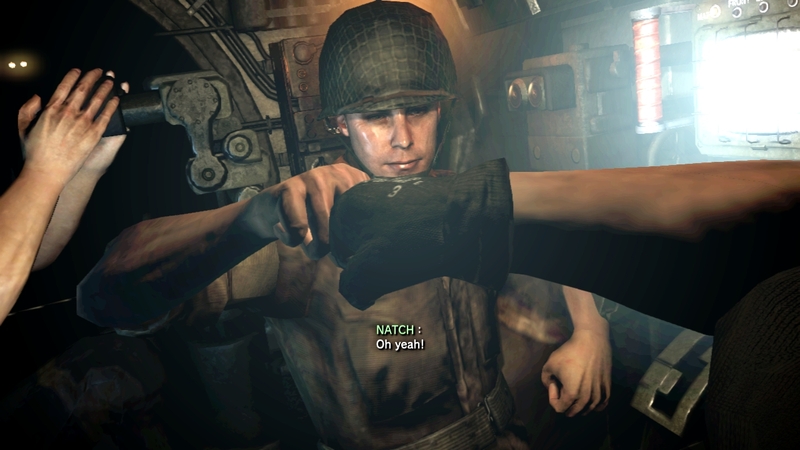 : Reports are flooding in from E3 2012 about the overwhelming success of Gears: Judgment’s new multiplayer mode Overrun. * It’s a mash-up of Horde and Beast. * It will be 5 on 5. * COG will always be defending, and Locust will be attacking. * Each faction will be incredibly different and will have unique classes to their respective factions. * Each class has specific abilities and weaknesses, for example the scout can climb whereas the medic… can heal stuff. * There will be no Lambent at all, as this does adhere to the Gears timeline. * It is unclear if there will be class specific unlocks and upgrades at this point. Let’s hope so. I for one am incredibly excited to get my hands on more Gears of War. Let’s just hope People Can Fly will be capable of matching Epic’s finest works. Oh! “Chicks Dig the Baird” shirts are currently available for your avatars in the XBL marketplace. Romero’s Call of the Dead: A Nerdsplosion! Before you get all excited about Sunnydale’s favorite slayer returning to television, I’ll fill you in on a little secret, it’s not really happening! On the other hand, we’re getting one of the most bizarre pop-culture mash-ups I’ve ever had the pleasure of witnessing. What happens when the father of all Zombie films, George Romero, sinks his teeth into a Call of Duty expansion pack? Call of the Dead happens! And why is this so damn cool? 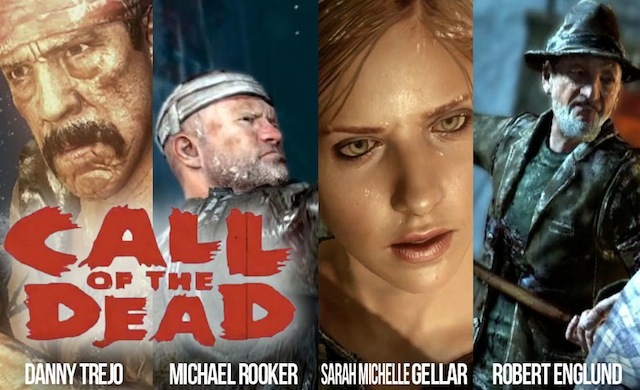 Call of the Dead allows you to play as Buffy, Machete, Freddy Kruger, and Michael Rooker!